One of the oldest and most visited farmers markets in all of New Mexico! Come see what Northern New Mexico agriculture has to offer, such as regional heirloom varieties, the freshest of produce, local-sustainable meat & dairy! 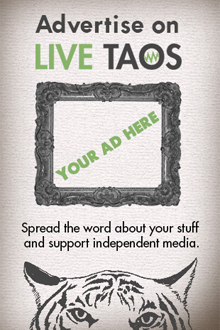 Held in historic Taos Plaza, join us together in building up our community with local food at the core! Taos Farmer’s Market accepts EBT & Double Up Food Bucks (a $1:$1 matching system, spend $10, get $20 total!) – they also accept WIC and Seniors Nutrition checks.